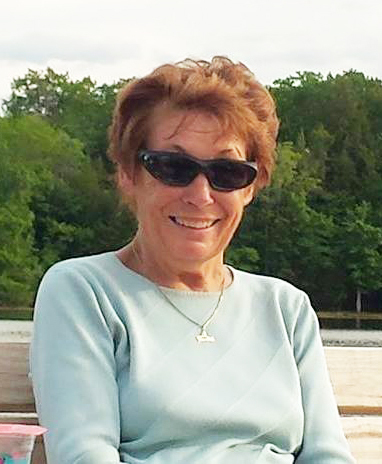 Carol Ann Bennett, 72, a resident of East Andover, NH for over 45 years died peacefully, surrounded by family, on Sunday, February 10, 2019. Carol was born in Franklin, NH on February 28, 1946, the daughter of Albert and Peggy (Fancy) Rayno. Carol attended Franklin High School and for more than 30 years was employed with Riverside Millwork (Rivco) in Penacook, NH. Carol's greatest joy was spending time with family and friends. She loved to cook, and shared her culinary creations with many. She enjoyed feeding any and all that would stop by the Bennett residence. Carol enjoyed vacations at Old Orchard Beach, Maine, traveling to the Caribbean and Florida as well as spending time at her sister and brother-in-law’s home on Highland Lake. In addition to her parents, Carol was predeceased by her husband of 43 years, Robert "Butch" N. Bennett Sr. a daughter Kimberly and her sister Sandra Thompson. Surviving members of her family include her two sons, Robert N. Bennett Jr. and his wife Koreen of South Sutton, NH and Gary P. Bennett and his wife Lynn of Hopkinton, NH. She also leaves four grandchildren, Courtney, Parker, Riley and Olivia, nieces and nephews and a sister, Rhonda Rayno of Lee, NH. The family would like to thank both the Lake Sunapee Visiting Nurses Association and the Concord VNA/Hospice organizations, as well as Barbara Burke and Christina Thompson, for the outstanding care and comfort they gave Carol in the final days of her life. Calling hours will not be held. A private graveside service will take place in the spring at the New Hampshire State Veterans Cemetery in Boscawen, NH. A short committal prayer service will be held at that time. In lieu of flowers memorial contributions can be made to the Lake Sunapee VNA & Hospice Care, or the Concord Regional Visiting Nurse Association Hospice Services.